​As a national leader in sustainability, Lake Land College is committed to creating a greener and cleaner education and environment. Beginning in 2008, the College embarked on a multi-phase, long-term commitment to energy conservation and generation through renewable energy sources. Lake Land College selected CTS as their long-term business partner to help make their vision of sustainability and environmental stewardship a reality. 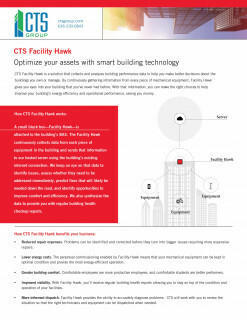 ​Facility Hawk collects and analyzes building performance data to help you make the right choices to improve your building's energy efficiency and operational performance, saving you money. 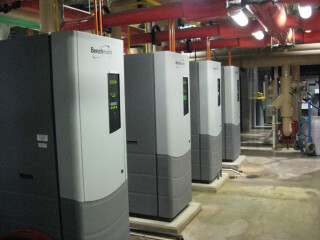 To succeed the aging heating and cooling system, massive cooling units were installed with variable speed drives that only work as hard as necessary, increasing comfort in all areas of the facility, while saving the taxpayers' money with lower utility bills. Additional introductions to the pool area included inflatable ductwork to evenly distribute air, and a pool dehumidification system to improve indoor air quality with heat recovery for pool water. With the assistance of CTS, the County applied for and was awarded $1.9 million from the Energy Efficiency Conservation Block Grant from the American Reinvestment and Recovery Act (stimulus funds) for the project.  The County also utilized Missouri Statute 8.231 to fund additional improvements with the energy and operational savings through a guaranteed energy savings project. In evaluating the City Center, CTS Group determined various strategies available to the City that aided in lowering capital investments and the operational and energy costs at the facilities, all while improving the quality of the indoor working environment and preserving previous capital investments. Through an extensive feasibility study and analysis of the systems, CTS developed a project that saves the City over $94,000 in annual energy and operations/maintenance costs. 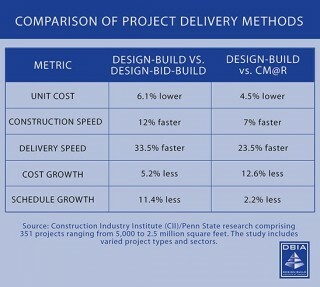 Through the use of Performance Contracting, these savings are redirected to help pay for the improvements. 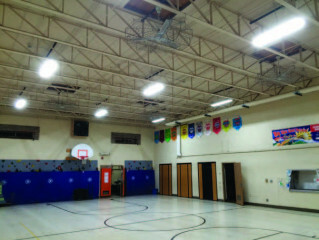 CTS Group and East Moline School District collaborated on a phased project that will save the District a guaranteed $405,833 in energy costs during the bond finance period. This 2-part project not only saved the taxpayers money on utility costs, but also on maintenance and operations. 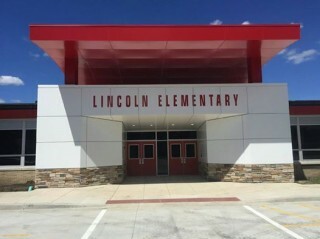 Comfort, reliability, and efficiency were improved for students and staff alike. 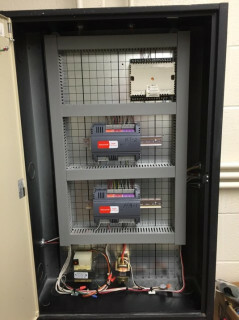 The District wanted to move toward a non-proprietary building automation system, which would allow a more competitive environment for future projects, while also providing a front end system to better monitor all buildings owned by the District. The College selected CTS Group through a competitive Request for Qualifications process to act as the College's Energy Conservation Consultant. CTS Group provides an alternative approach to traditional construction that embraces strategic planning with an integrated team where client expectations, project costs, and implementation plans are developed before the construction process begins. 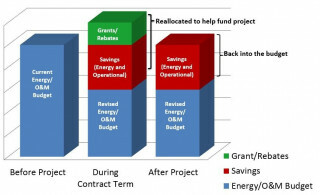 The immediate goal was to complete this ASHRAE level two energy audit to identify areas of need, which led to the Performance Contract Life Cycle Infrastructure Program Management Services agreement. ​CTS Group utilized local contractors to erect a new modernized and comfortable building to house the District's numerous buses. The bus garage is a pre-engineered, 9,425-square-foot metal building consisting of a driver training room, director and staff offices, bathrooms, storage areas, 3 service bays and a maintenance bay. Building dimensions are 65'x145' with 18 foot high sidewalls and a 1:12 pitch roof. Both the walls and the roof were insulated with a heavy duty vinyl system. CTS Group is a Trade Ally for Ameren Missouri, recognized as an energy efficiency professional with the tools, information, and expertise to assist customers with energy efficiency projects through Ameren's BizSavers® program. CTS Group works with clients to develop and implement energy efficiency projects, as well as apply for and receive cash incentives through the BizSavers® program of up to $3,000,000. CTS Group and the City of Perry County collaborated on a project to bring life back into the historic facility. Exterior improvements were made to blend with the Romanesque Revival-style of the building, including new doors, windows, and concrete work. The dated interior was upgraded to include renovated restrooms and elevator, new flooring throughout and new acoustical ceiling tile. The new-and-improved Courthouse was equipped with energy-saving heating, cooling, and electric that will save taxpayer dollars and improve comfort for all patrons.